We now have a Minister of Thread! 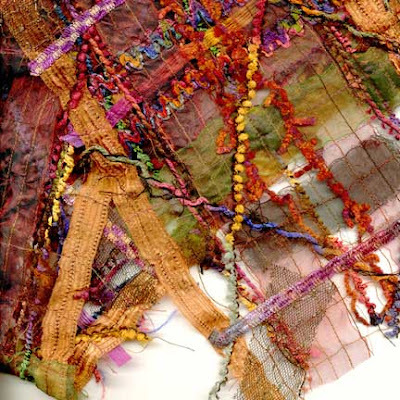 Hilary Gifford, the celebrated fiber artist and all round big thinker has been appointed to represent the Royal Court of Rongovia as it's Minister of Free Flowing Thread! Our new minister has established her offices in the newly formed "Upstairs Artists" Space on Main Street across from the Rongovian Embassy so she will have access to the Ambassador and all the Rongovian notables as they visit our small hamlet. Minister Gifford makes wonderful things. See her work here>> Hilary and her partner, Ben, have rennovated the upstairs space above Holton Pharmacy to be studios and a gallery with a wide diversity of work and media. There is even a person creating natural cosmetics etc. They offer some great courses and will be a significant addition to our little plateau. Downstairs is being renovated into two nice shops--one being a used bookstore and the other an optometrist. More to stay home for!